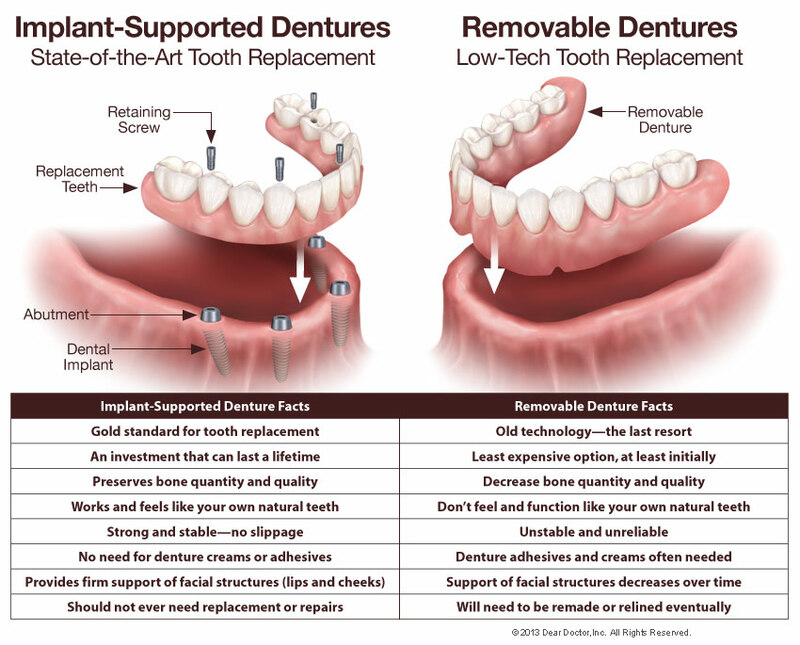 The surgery to place dental implants that support a fixed denture is a simple, routine procedure carried out in an office setting. 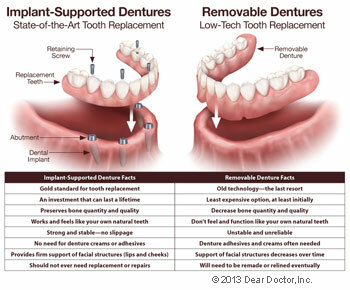 (If you need to have failing teeth removed, that will be done first, often the same day your implants are placed). After numbing the area, the appropriate number of implants will be placed in your jaw at precisely planned angles and positions to maximize support and avoid anatomical structures such as nerves and sinuses. 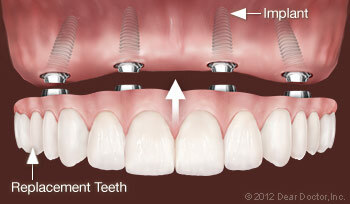 Depending on how many implants are needed, the surgery can take anywhere from one to three hours. Most people who have dental implants placed find that any post-operative discomfort can be managed with over-the-counter anti-inflammatory medication such as ibuprofen or acetaminophen. Some don't even need to take that.